Chalazion is a condition caused by inflammation around the opening of the oil producing glands along the eyelids. These glands are very important as they produce the oils which keep the tear film stable, which prevents us from getting dry eyes. Sometimes, however, these can become blocked. When this happens a cyst can form on the eyelid itself, and if this becomes inflamed then this can become what we term a chalazion. These can occur on both the top and bottom eyelids. This condition is seen in both children and adults, though does tend to be more common with age. 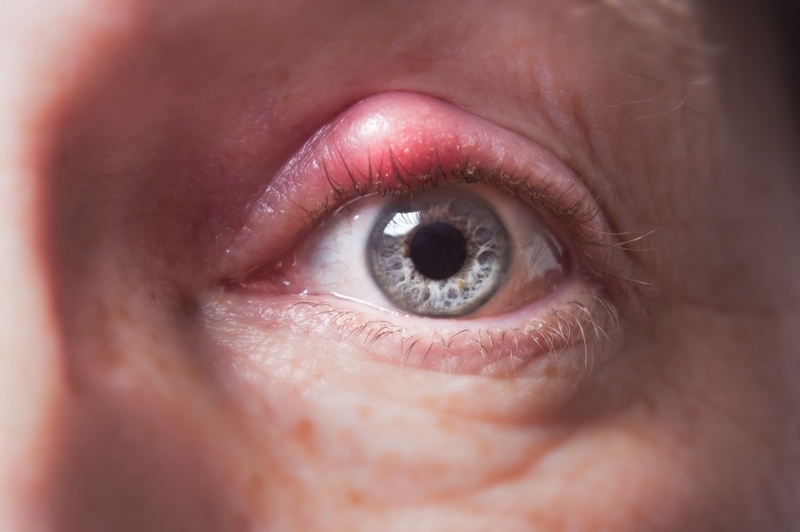 Chalazion often exists along side other conditions such as blepharitis and dry eye. Frequently patients will experience a lump forming on either the top or bottom eyelid (see Figure 1.0). This can become red and painful , and is frequently about the size of a pea. There are many ways of managing chalazion. Frequently simple measures will be enough to help relieve symptoms. In the first instance hot compress massage will often help reduced the levels of inflammation and reduce the size of the chalazion. By heating up the eye lid along with massage, this allows the oils within the glands to move more freely, and prevents the glands from becoming inflamed. Along side this you may occasionally be asked to use lubricating drops as well as using measures to keep the eyelashes free of debris. If conservative measures such as the above fail to improve symptoms of chalazion, then sometimes a small surgical procedure may be appropriate, which will be discussed with you. This allows the gland to empty more freely and helps reduced both the size of the swelling along with the symptoms. This would be done under a local anaesthetic as a day case procedures, and takes approximately 10 minutes.